The Caribbean is a region of the world surrounded by luxurious and awestruck islands. Wherever you visit within these islands, you’re sure to find yourself in a state of ultimate, blissful relaxation. There is an abundance of experiences to be had and luscious, clear beaches to be explored. This region is the number one travel destination in the Americas. It is the perfect getaway in the colder seasons ahead of us! The only stress that can derive from your travels to the Caribbean is picking where to stay out of the hundreds of options out there. That’s where I come in, I am here to make your travels easier by introducing you to my top 10 luxurious resorts across the Caribbean Islands. These resorts are all about providing the most calming experience and upgrading your stay while facilitating your trip. If you think I missed one, make sure to let me know below. I would love to hear your experiences across the Islands! Imagine waking up warmed by calming rays of sunshine, with a daylight experience that feels never-ending. That is what it’s like to wake up during a stay at Jade Mountain Resort in St. Lucia. Everywhere you look, you are touched by gorgeous and breathtaking land, all the views designed to flow in beautiful harmony. The incorporation of organic architecture surrounding the resort is satisfying to the eyes and to the soul, it creates peace of mind and calm as it surrounds your getaway. Along with its aesthetic perks, the rooms offer large spaces, a private infinity pool, and stunning views. You can indulge in their private spa services, exclusive restaurants and bars, and two lovely soft sandy beaches. The whole resort is a beautiful work of art and your stay will be nothing short of majestic. Located in the Bacaro district of Punta Cana, Iberostar Grand Bavaro is an ideal choice for those travelers seeking an adventurous getaway. It has an active nightlife filled with excursions, exciting water sports, and it’s one of the best-rated properties in Punta Cana. You can enjoy your stay by indulging in breakfast on your patio with a luscious view, swimming in the warm waters, relaxing by the beach or enjoy the long list of activities at your disposal; regardless you’re guaranteed to have an unforgettable experience. Hermitage Bay lets you enjoy your stay through a luxurious privately owned, all inclusive 5-star Boutique Hotel or through one of their 30 individual Suites located either by the beach or on a private Hillside. The two amazing choices are yours to make, either way, you will experience incredible accommodations and the most delicious and relaxing stay. 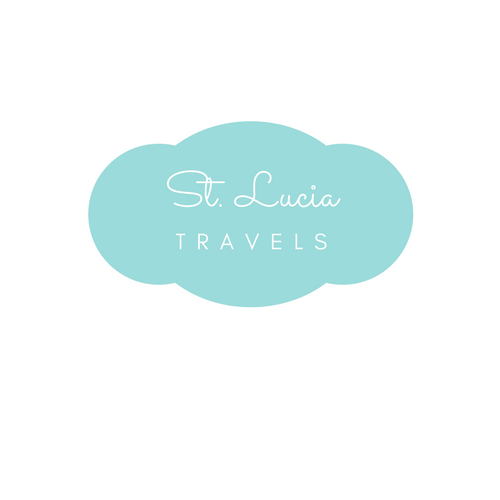 Their boutique hotel is located on the West of Antigua, thirty individual suites with a view of the gardens and hillside of a stunning natural Bay. There are multiple activities available at your leisure, all designed to provide you with the most restful and relaxing getaway. Your choices range from a cooking course, farm tour, sailing, and scuba diving, activities in the fitness center, sport such as golf, tennis, and water sports with so much more. There are so many features that make Ladera Resort unique; it stands out as being one of St. Lucia’s most prominent and well-recognized resorts. It carries the history of the island as it was once part of the Rabot Estate, one of Soufriere’s oldest and most famous cocoa plantations. Their furniture is also made on site by local St. Lucia artisans. It has a setting like no other, allowing your eyes to dance in luscious greenery, unique pops of colors and deep blue waters. The resort features only 37 rooms and suites, allowing for an intimate and quaint getaway. Your suite will feature an open wall concept, leading to a plunge pool, looking out into an awe-striking view. You’ll never want to leave once you’ve arrived, everything has been designed with your relaxation in mind. Ladera also comes with high reviews and great guest experience. Bucuti & Tara Beach Resort has earned its name as Tripadvisor’s 2018 Travellers’ Choice for #1 Romance Hotel in the Caribbean. It is an adults-only, break taking oasis getaway for those who want to be nestled in a cozy atmosphere surrounded by sandy beaches. Everything about the resort is centered around creating your ideal romantic getaway. This innovative resort also is also eco-friendly the first carbon neutral resort in the Caribbean. Peace, Love, and Happiness are what is promised to you during your stay, and it has without a doubt been delivered. You will be enjoying a romantic and unique dining experience right on the beach, outdoor pools, and fitness rooms. A luxurious spa also awaits you with relaxing massages and treatments. The Tuscany is an ideal spot for wedding and group getaways! Their website provides a virtual tour of their beautiful rooms available for your stay; giving you a sneak peek at the experiences awaiting. The resort features a lush garden, a tennis court, golf course, and spa. You can also soak up some rays as you swim on the sun terrace! Enjoy activities such as diving, horseback riding, boating, fishing, hiking, and snorkeling; there are so many different ways to experience adventure. The Tuscany has one of the best-rated locations in the area. Tryall Club features 2,200 acres of natural and beautiful escape in charming Jamaica. It is a privately owned villa where everything you need is at your fingertips, with no reason to leave and no room for stress. You are welcomed by a professional staff and have access to a private swimming pool, tennis lessons or joining in a game of golf. Oceanfront beach houses are available for you to enjoy along with one bedroom condos and luxurious villas. The majestic Resort of Mount Cinnamon located on the delicious Island of Grenada is the ideal place to stay for an all-encompassing visit. The eco-luxurious and elegant resort is family-owned and incredibly beautiful. You can step into a walkthrough of fragrant and graceful paths, filled with palm leaves and sun-glazed greenery. Enjoy your stay in multiple ways such as; relaxing, stretched out on the wide sands of the beach. You can also choose to enjoy the multiple activities offered to you like with beachside yoga, paddle boarding, sailing, kayaking, scuba diving and more. Your dining options include farm-to-table dishes with a mix of Indian and Caribbean cuisine. Their seasonally changing menu is always fresh and made true to the culture. Wyndham Grand is talently designed nature sublime at its best. Surrounded by the soothing sapphire Atlantic Ocean, the Resort offers natural beauty, unforgettable paradise and tactfully located tranquility. This relaxing beach hotel and resort is located in Puerto Rico near El Yunque Rainforest. The rooms at Wyndham Grand are comprised of 400 spacious guest rooms and suites. Every room features a breathtaking view, which you can spend your day enjoying at the private beach areas or participating in their endless list of activities such as golf, Mandara Spa, or Rio Mar Casino. Located in the southern tip of St. Vincent and the Grenadines, Palm Island Resort and Spa provides you with a private, luxurious island experience. You are surrounded by serene and sunny turquoise waters, basking in tropical serenity. The award-winning 134-acre island is accessible only by boat, with private rooms designed to fit a total of only 43 guests. It is the ideal spot for some time away from the noises of the busy life. Palm Island is designed for the ultimate sunny relaxation. Here is my list for the top 10 luxurious resorts across the Caribbean, designed to make it simpler for you to choose the ideal resort to spend your getaway. You deserve to let loose and take some time away from the routines of your daily life, I know I do! The Caribbean is a great place for that and these resorts will certainly accommodate those need. Enjoy your stay and make sure to let me know your favorite resorts!